Deluxe Edi­tion DVD includes the full 85-minute KUKAN (1941) mas­tered from VHS, and par­tial 35-minute KUKAN (1941) mas­tered from 16 mm. **If you are not affil­i­at­ed with an edu­ca­tion­al insti­tu­tion and would like to pur­chase the Deluxe Edi­tion DVD for home use, please con­tact us. Your library may already have access to a stream­ing ver­sion of Find­ing KUKAN. Check to find out HERE. 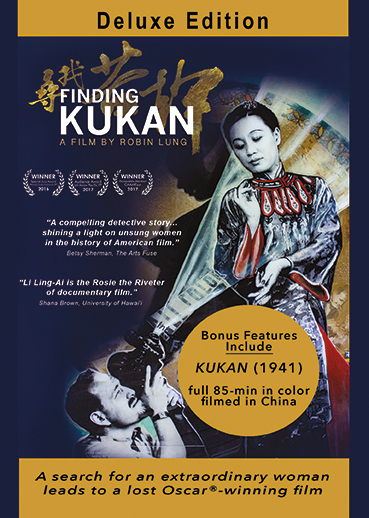 You can also rent a stream­ing ver­sion of Find­ing KUKAN for home use through Vimeo On Demand for $4.99.